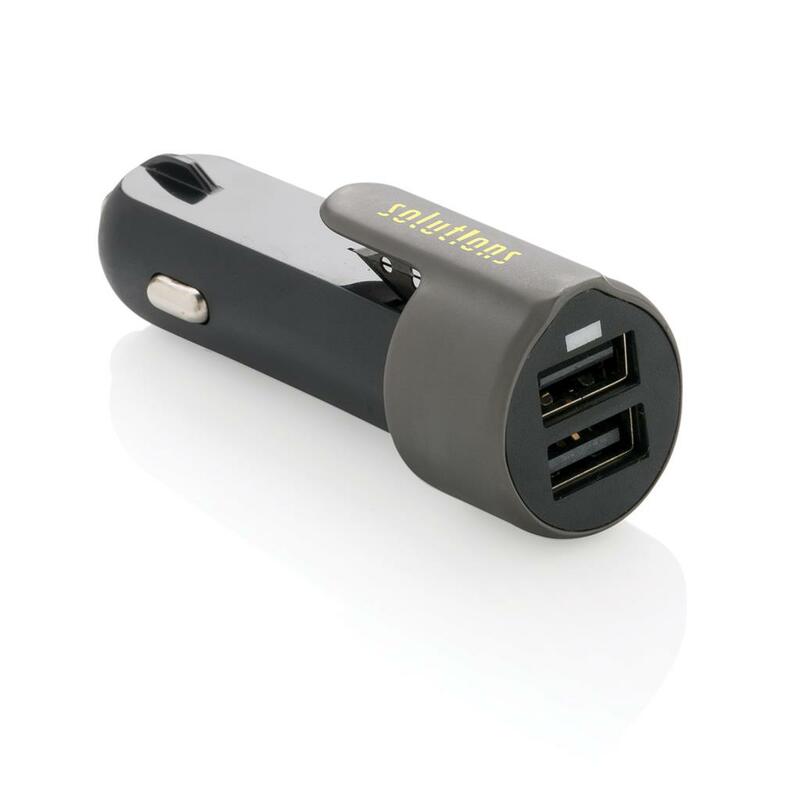 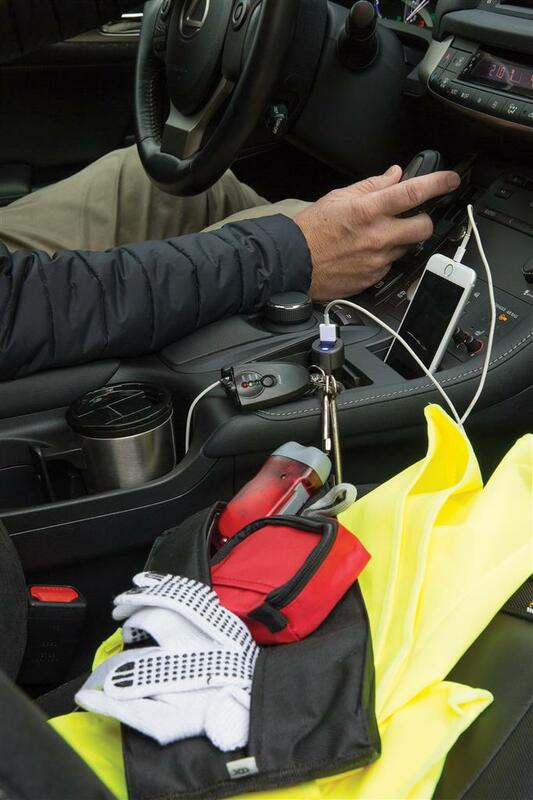 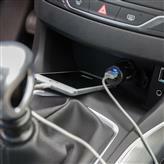 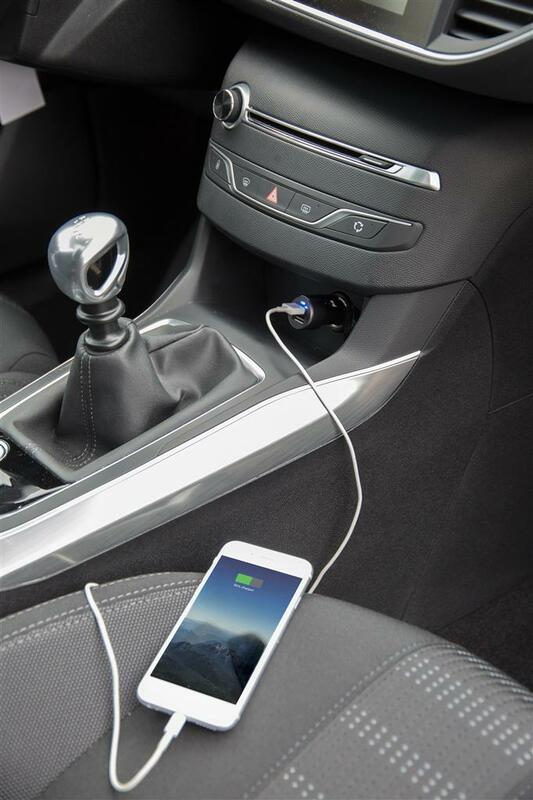 Dual USB port car charger that can charge two devices at the same time. 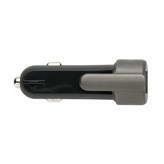 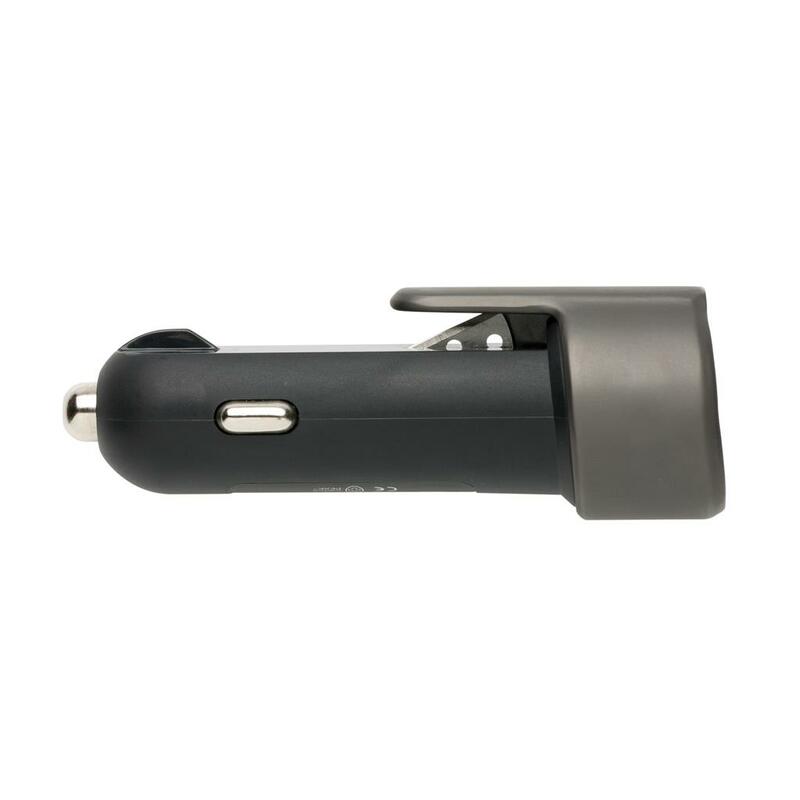 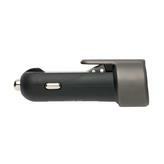 The car charger has an aluminium top with belt cutter. 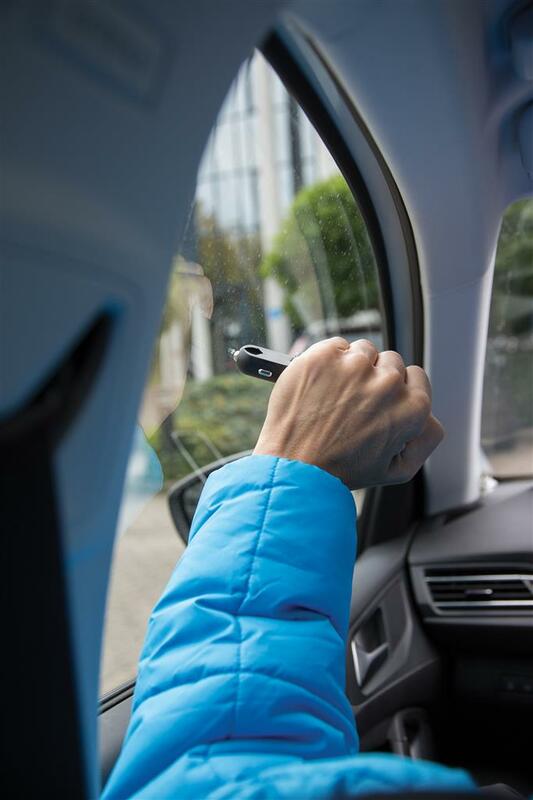 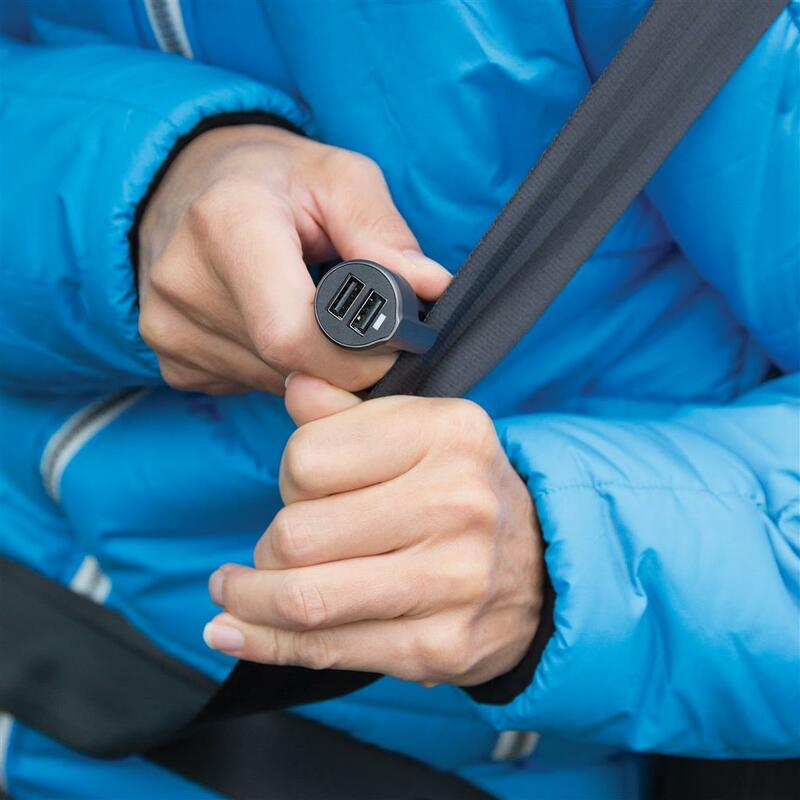 The bottom has window hammer function that can be used in case of an emergency. 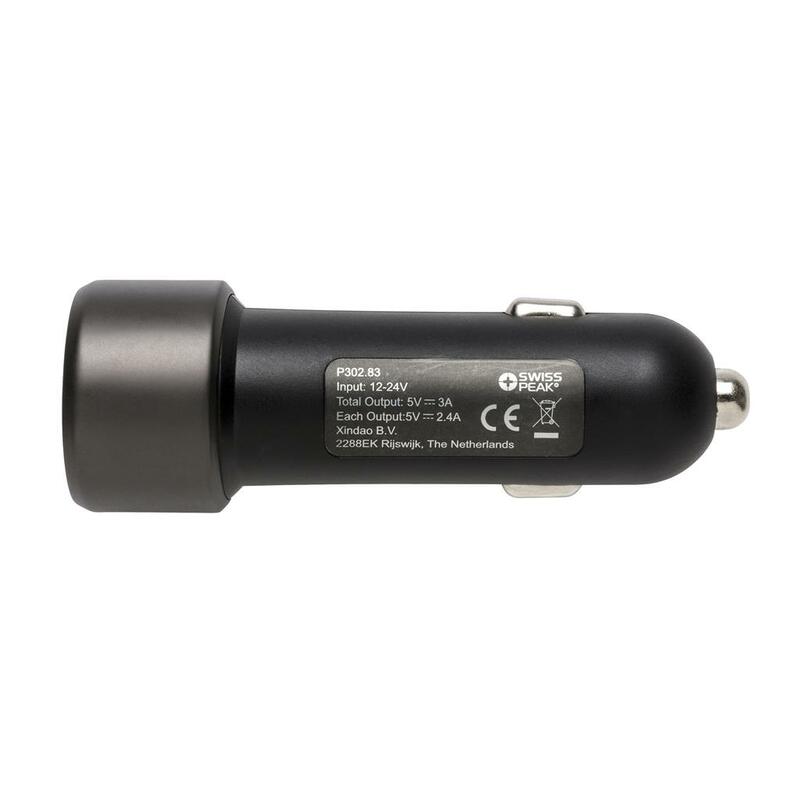 Output 5V/3A.